Surgery of any kind does present risks for the patient and surgery abroad may be seen by some as having more risks than surgery in the UK. There have been surgery abroad horror stories reported in the UK newspapers on an almost weekly basis, and there is no doubt that patients should be made aware of the risks of medical treatments abroad. 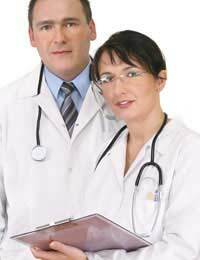 No one in the field of medicine and surgery can guarantee a risk free medical procedure. Any number of complications can occur both during surgery and after. But there have been many rumours about the safety aspects of medical treatments abroad, most come down to the competence of the surgeons involved or medical providers who are more interested in making money than the welfare of the patients. Your biggest asset to minimising your risks of complication when going abroad for any form of medical treat is to thoroughly research and gather information. Many people who go abroad for medical procedures will not meet or even talk to their surgeon until they are in the operating room. This is unacceptable when it comes to taking responsibility for your own healthcare. It cannot be stressed enough that you must check the surgeon’s qualifications and credentials before you go abroad; this can be done through the official governing health agencies for the country you are intending to use. If you have not checked their credentials you have absolutely no guarantee that the surgeon is qualified, or is certified to practice. Following the surgeon’s advice on how to recuperate is vital if healing is to occur without problems. Many people use the surgeon’s advice as guidelines whereas they should be followed to the letter. If you are on holiday after you have had some surgery there will be many holiday activities that will not be conducive to the healing process. You may not be able to pursue active sports, go swimming or take any kind of activity that places a strain on the area that has just been operated on. If your surgeon advises you to stay in the nearby area after medical treatment you should really not consider travelling back to the UK immediately. The stresses and strains of travelling can have a detrimental affect on the healing process, especially where scarring is considered. If complications do occur after surgery you should be fully prepared for the event. The hospital or clinic that you have used should make clear to you their policies on post surgery aftercare and/or complications. If you use a medical service provider they should have solid guarantees set in place regarding financial coverage to pay for your return trip, accommodation, and surgery fees. If they do not provide these guarantees then simply find a medical provider that will. Before having any type of surgery abroad you should have a full examination and pre surgery medical tests to assess your suitability for surgery. Your medical history should have also been sent to your clinic or hospital abroad to be reviewed before any surgery. This practice should also be followed up post surgery. A full and detailed record of the surgery should either be given to you to take home or sent to your own doctor in the UK. This is very important in case there are any complications that happen once you have returned to the UK. Many UK doctors have complained that they have simply had a note from the surgery abroad saying that the surgery went well. There are always going to be some risks when undergoing certain types of medical surgery. Surgeries such as organ transplants have risks involved such as infection or organ rejection, and cosmetic surgery risks can involve blood clotting and scarring problems. Your surgeon should fully explain to you before you have even left the UK the risks that your type of surgery carries. If you are using a reputable surgeon in a first class hospital or clinic then the risks of medical treatments abroad should only be comparable to the same risks of medical treatments in the UK. Even in the UK an estimated 10% of hospital patients have had some form of surgical complications. There are no guarantees, but by thoroughly researching all your options and not choosing your surgery based on the lowest cost alone, you should minimise your risk of choosing an unqualified surgeon or unlicensed hospital or clinic.